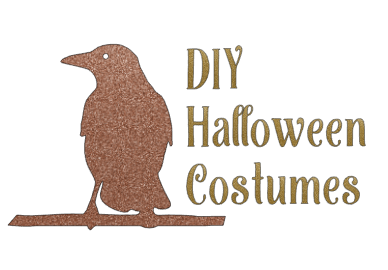 There are a few seasonal accessories that you can never have too many of. A good tote bag is firmly on that list for me. You use them for so many things. Taking stuff to the gym, the pool, a weekender. Keep a couple in your car for unexpected shopping trips. Lemur bags is perfect for this. They have great styles in even better prints. Among the styles that Lemur Bags offers are shopping bags, drawstring backpacks and duffel bags. They also have this great drawstring bucket bag that’s so cute as a purse. 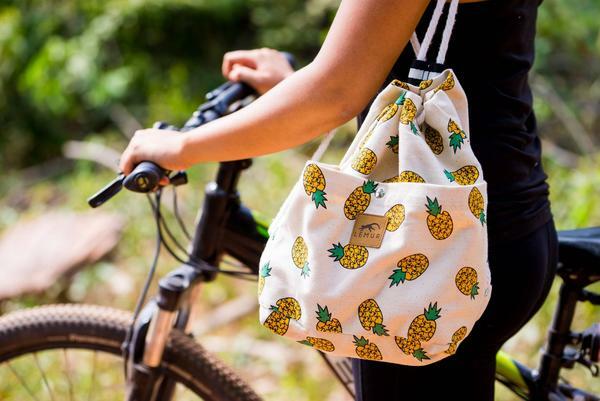 Their bags are made from printed canvas that has fun and fabulous designs like palm trees, bananas, pineapples, and elephants, among others. Not only that, they’re really reasonably priced, and are made to last. And if that wasn’t enough, the company donates a portion of proceeds to benefit lemur conservation. 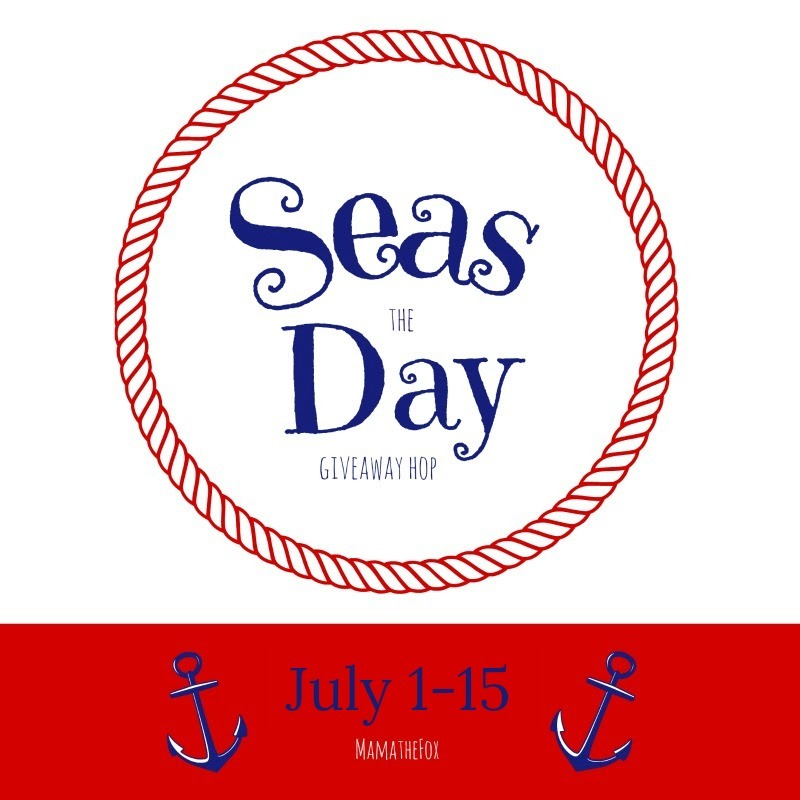 We’ve partnered with Lemur Bags to give one lucky Style on Main reader a bag of their own as part of the Seas the Day hop, hosted by Mama the Fox. Ready to enter? Do so in the Rafflecopter widget below. Now that you’ve entered here, go check out the other prizes that are up for grabs. Love the drawstring backpack. I love the idea of having my hands free and my items secure because it is tight at the top of the bag. I love the cute designs as well. I liked and learned that 15% of all profits from Lemur Bags goes straight to organizations supporting lemur conservation projects in Madagascar! I learned that 15% of profits go towards organizations supporting lemurs conservation in Madagascar. I learned that they are made from 100% durable canvas material and cotton ropes. I like their duffle bags! They have many different fabrics and styles all of which are so cute! I learned that they have free shipping on orders over $35. I like the bananas canvas duffle sports bag. I love that a significant portion of the sale of each bags goes towards helping lemurs. 15% of all profits from Lemur Bags goes straight to organizations supporting lemur conservation projects in Madagascar. I learned that they have Free shipping on orders over $35 ! I love all the different patterns they have. Between the patterns and the types of bags there’s something for everyone! I learned that they are working with various charities such as the” Lemur Conservation Network, Duke Lemur Center, LemurLove.org, and Lemur Conservation Foundation to protect Madagascar’s lemurs from extinction”. I learned that 15% of all profits from Lemur Bags goes straight to organizations supporting lemur conservation projects in Madagascar. They have some beautiful shopping totes that are 100% handmade! I learned that 15% of all profits from Lemur Bags goes to organizations that support lemur conservation! That’s so cool… we love lemurs! I like that their shopping bags have zippers to close them. I really like that a portion of their profits go directly to organizations supporting lemur conservation. I think that their products looks gorgeous, and really well-made! They’re 100% handmade bags and a portion of the proceeds supports conservation. I learned the 15% of the profits go towards lemur conservation which is awesome I love lemurs and I didn’t know they were endangered. I believe I read that 15% of proceeds from Lemur bags is donated to keep the Lemurs, the most endangered species on Earth due to deforestration, alive. I also like that these bags are 100% hand made. I love the Lemur duffle with the pineapples! And the fact it is handmade, lovely site! I learned that lemurs are in trouble in their home land, which I was not aware of. I learned that 15% of all profits from Lemur Bags goes straight to organizations supporting lemur conservation projects in Madagascar! I learned that there is free shipping for orders over $35. I like the duffel bags! And the fact that they fold up and store flat is very nice for my small home. I like ELEPHANTS – CANVAS DRAWSTRING DAY BAG. I like the ELEPHANTS CANVAS DRAWSTRING DAY BAG. Oh my goodness, I must say I love these! I learned that 15% of all profits from Lemur Bags goes straight to organizations supporting lemur conservation projects in Madagascar! This is so awesome! I learned that Standard Shipping is $5.95 and takes 5-8 days, but they also offer free shipping on orders over $35. I learned that their Canvas Duffel Bags are made from 100% natural cotton canvas and recyclable polypropylene straps. Thanks. I learned that their drawstring bags are made from 100% durable canvas material and cotton ropes. I like he Lemur Paisley Canvas Drawstring Backpack. I learned that they are 100% handmade! I like the elephant bucket bag. When Lemur Bags are purchased part of the proceeds go toward helping to keep the lemurs from going extinct. i love that if i spend $35 then i get free shipping which is fantastic. I like that they support a lemur charity and I like their bags. I learned that by purchasing a Lemur Bag, you are helping to keep them from becoming extinct. I had never heard of them, so I learned what they are! I like the BLUE STRIPES CANVAS DRAWSTRING DAY BAG. I learned they are 100% handmade and a portion of profits goes to animal conservation. I learned 15% of all profits from Lemur Bags goes to lemur conservation projects in Madagascar. Thank you for the chance to win! Absolutely adorable! I love the Pineapple bag! I learned that 15% of all profits goes to organizations that support lemur conservation oin Madagascar. I like that the drawstring bags have a zipper in the front. I like that the shopping tote bags have a front pocket as well as the main bag. I like the Tropical Palm Drawstring Backpack. I really like the elephant drawstring backpack! I learned they are 100% handmade. I love that they give back and a portion of sales go to helping lemurs. I love the wine duffel bag but it’s out of stock . I like all the different prints their bags come in. I love the duffle bags. I learned that they donate a significant portion of our profits to organizations that work hard to keep lemurs alive and well. I learned that they are made from printed canvas.